Year 5 enjoyed an exciting educational adventure to the Imperial War Museum in London. The children couldn’t hide their enthusiasm as they repeatedly counted the number of stops on the tube map. Armed with an activity booklet to fill in, a clipboard and a pencil, our young historians marched on through the World War One exhibition to find out more about this influential historical period. The propaganda posters encouraged our young explorers to measure themselves up for uniforms, check out the weaponry that was available and chose which medals they would have liked to have pinned to their jackets. Having admired cannons, hidden in trenches and appreciated the role of the Home Front, we all stopped for lunch. 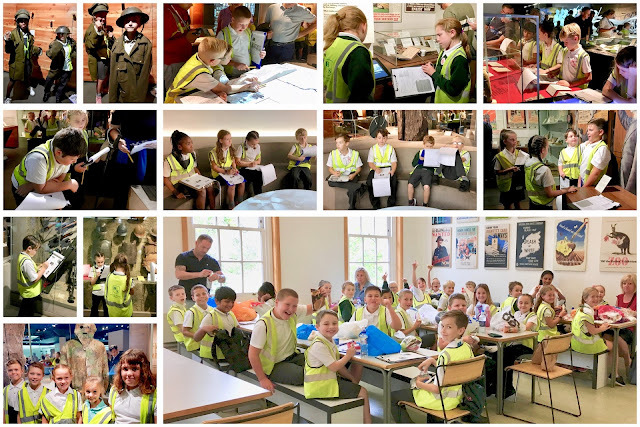 This fascinating learning environment helped the children to gain a deeper understanding of what soldiers and their families experienced during this four year period and how ‘The Great War’ has shaped the world we live in today.